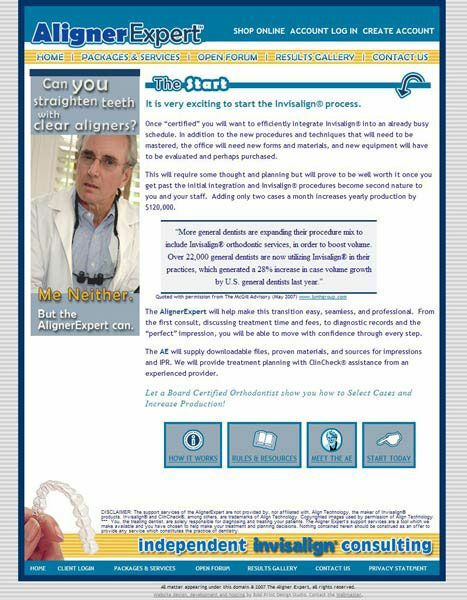 Website layout and design for Aligner Expert, an orthodontist offering consulting and training services to newly certified Invisalign dentists. 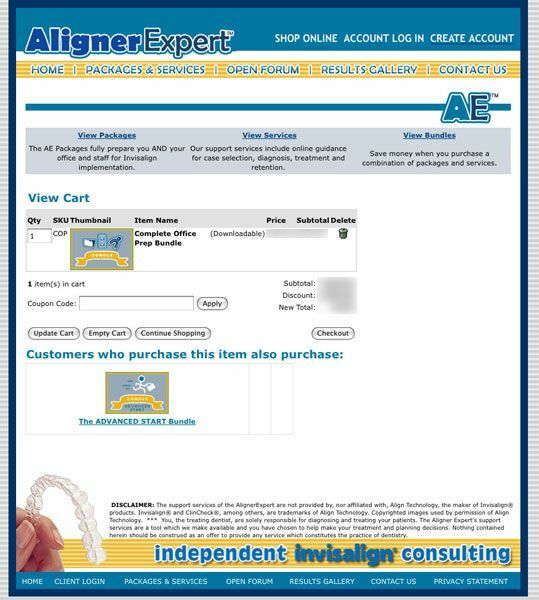 The site features custom configuration of an ecommerce system for online purchases, and an integrated Forum where the doctor can communicate with his clients. Additionally, the ecommerce software allows for customers to purchase “soft goods”, meaning their purchase can be delivered by downloading files. Different portions of the site are password protected and only paying clients have access to their paid sections. There are image slideshows and tutorials designed to assist the doctor in his training programs as well. In addition to all of the “back-end” technologies, the front of the site organizes and displays a lot of information to explain a somewhat non-traditional service offering in a very trustworthy and professional manner.